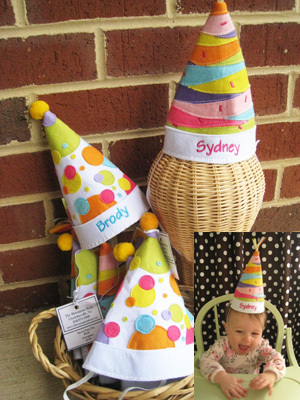 Crowm you child the " Life of the Party" with this adorable monogrammed birthday hat. This is the perfect hat for the 1st birthday party and many more to follow. Elastic neck band to ensure it will fit all heads! How cute will your photots be with these hats.